Thanks, both of you! I had a fair amount of trouble getting the ground under Boneface right, eventually I just gave up. I do agree that it could look better. This is a return to a more simple time. It’s a design for a space fighter flightsuit in a friend’s roleplaying game campaign. Nothing fancy. 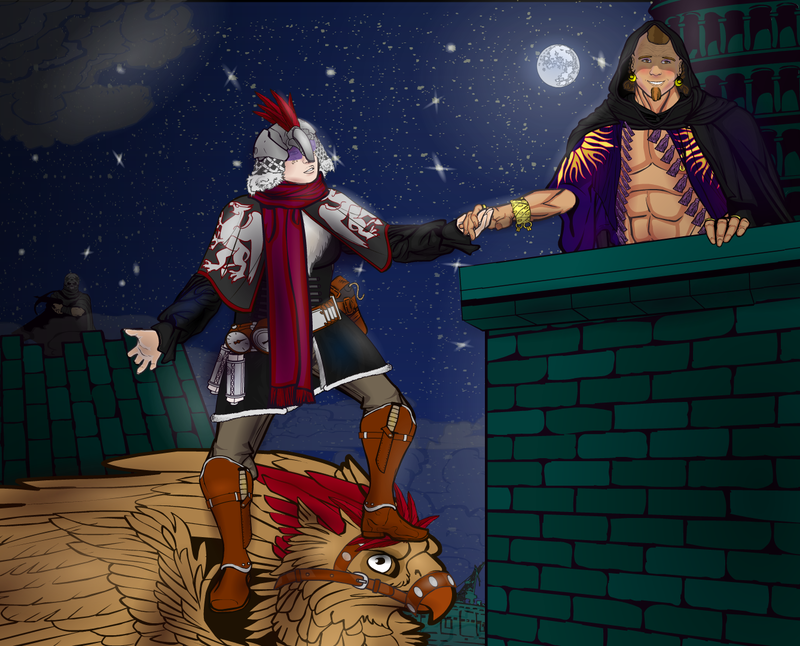 The dashing Gryphon Rider hitting on a young nobleman. She can show you the woooorld. The Gryphon Rider is, technically speaking, opposed to the evil Empress. However, she is way too busy doing things like this to actually be very useful to the cause. She is driven by her own moral code and libido, and is thus blinded to the plights of the common folk. I have no idea how this design ended up like this. I just wanted to make an opera singer, and suddenly she’s standing on a gryphon for some reason? All I wanted was a ladder! 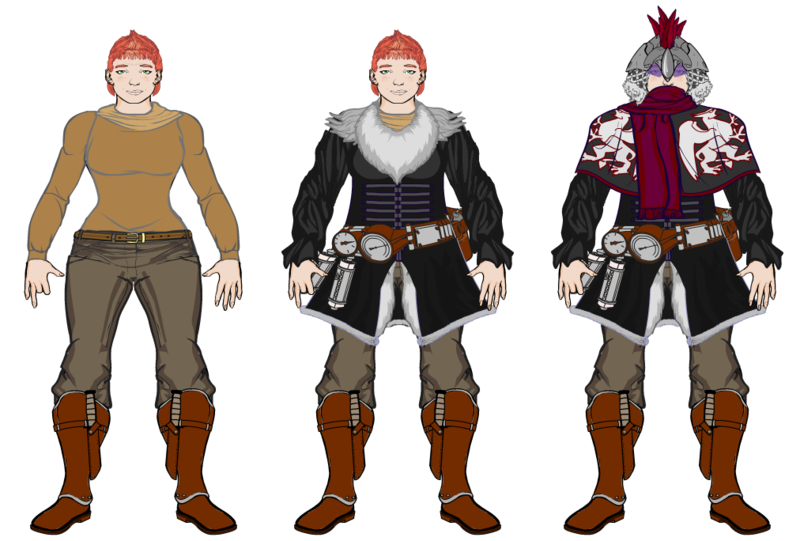 I was pondering a little bit about how the Gryphon Rider’s outfit would work in the previous picture I posted, so I painstakingly reconstructed the character in a front-facing view. That’s about all there is to this. This is pretty rough and has no shading, but not everything needs to be so pointlessly detailed. The Gryphon Rider is great. She’s shining, shimmering, splendid. Is there a story behind her missing fingers? Gryphon training accident? Also, I dig the simplicity of the Space Fighter flight suit. I saw Gryphon Rider in the CDC 400 comments – way to raise the bar.